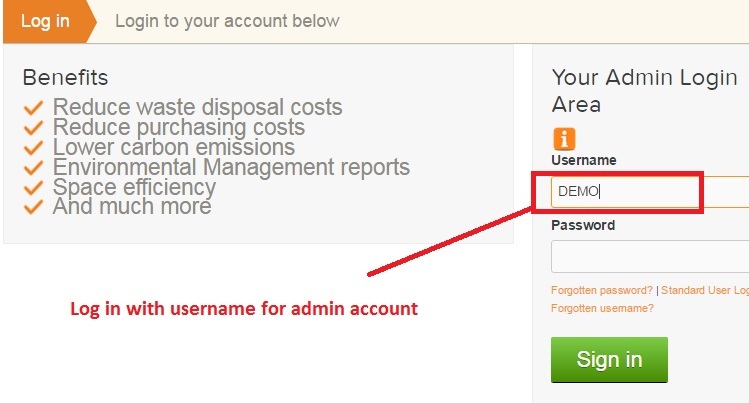 The admin always logs in using the USERNAME, which is also the name of the organisation’s portal (ie www.getwarpit.com/NCL or www.getwarpit.com/UCL) . The admin does not log in with an email address. The admin is the individual who signed up the organisation to Warp It. The admin is responsible for setting the network up and adding staff members. 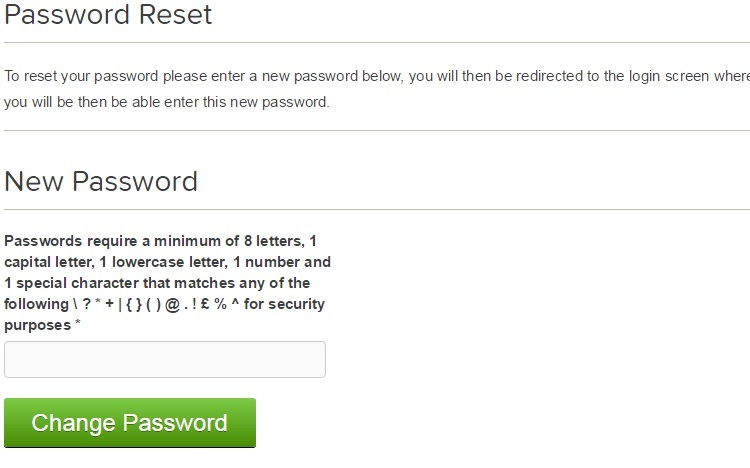 A password reset will be sent to the individual specified in the account settings. Click the personal unique link in the password email - this will take you to the log in. Note the Username reminder. 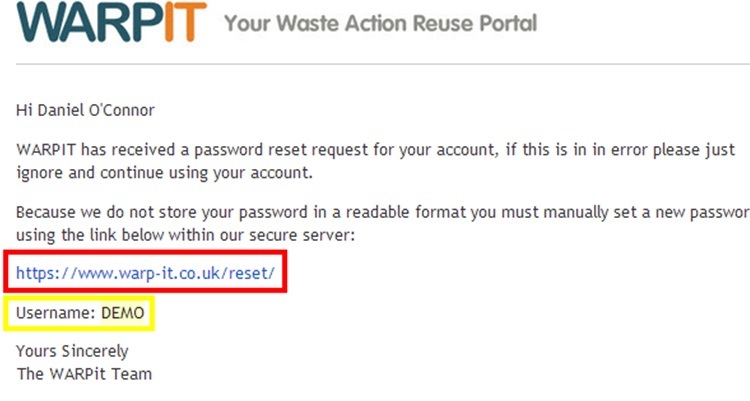 Add in the new password and click "Change Password"
and you will locate the original email. If the welcome email has been deleted please email info@.